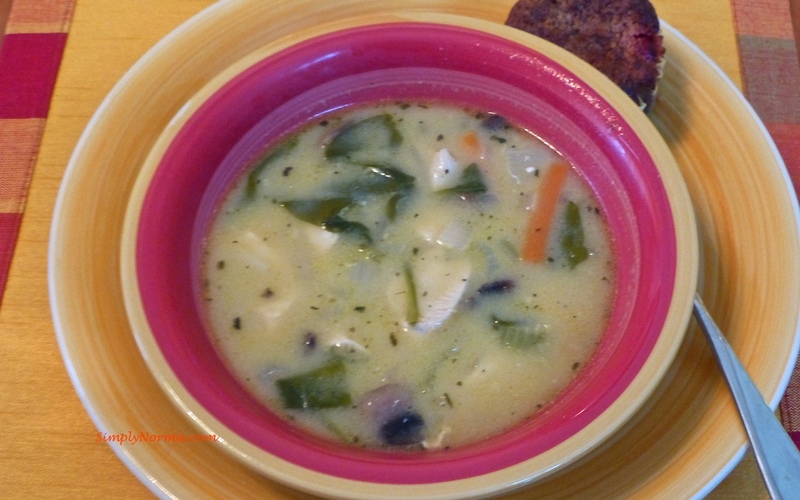 This homemade recipe can be called Chicken Coconut Stew or Chicken Coconut Soup (if you like chunky soup) and it is totally paleo. I simply took ingredients that I already had and came up with this tasty soup and even surprised myself (laughing). I started out with this group items. 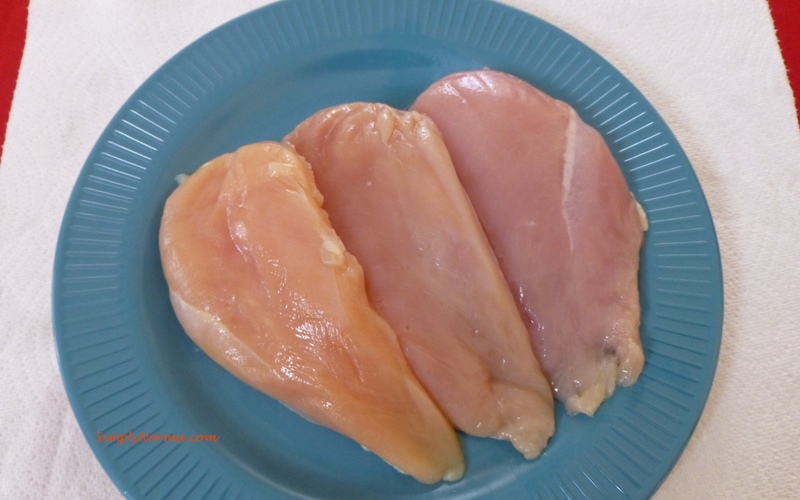 And we can’t forget the main ingredient — three chicken breasts. 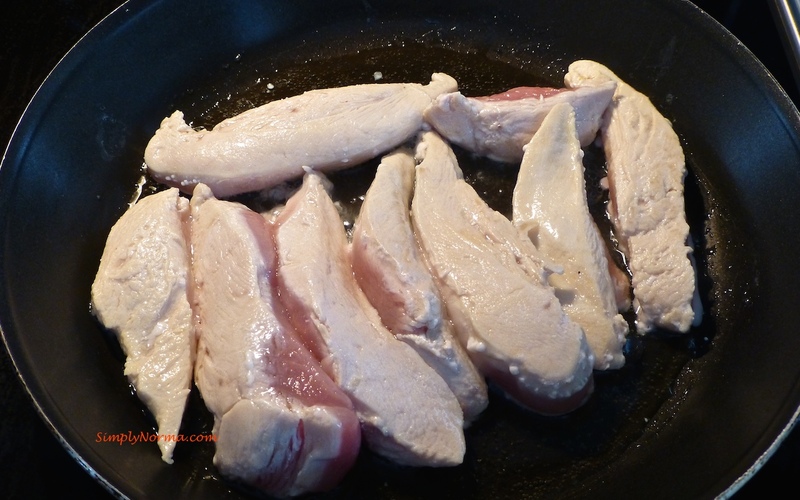 I cut each chicken breast in three pieces to make it easier to grill on the stovetop in 2 tablespoons of olive oil. 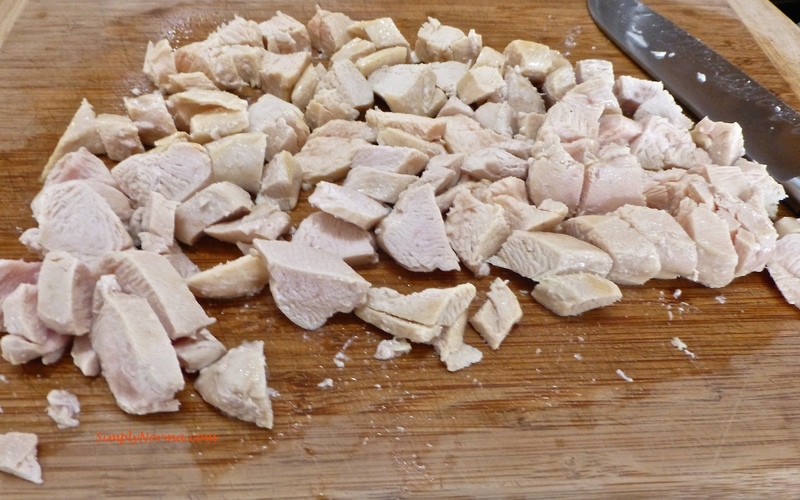 Once the chicken was cooked, I allowed it to cool on the counter and then cut it into bite size pieces. 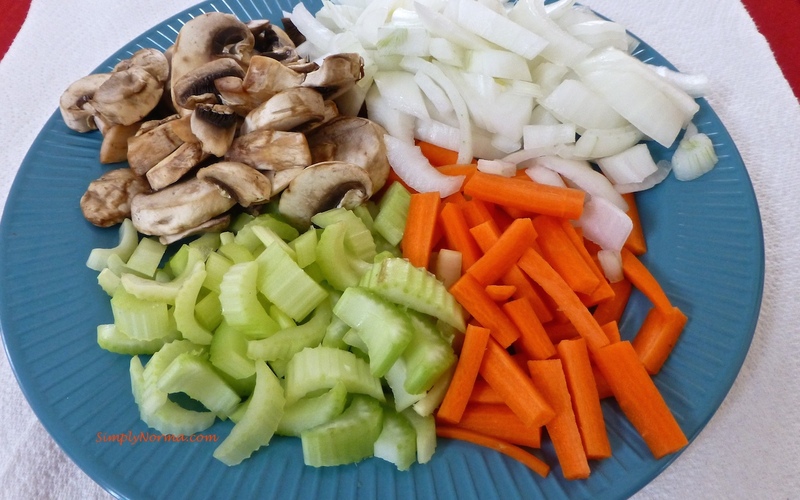 I like to have everything chopped and ready to go before I start cooking. In a large soup pot (I have a Le Creuset Cast Iron Pot that I used), I added two tablespoons of olive oil and put it on medium heat. When the oil was hot, I added the onions, carrots and celery then allowed that to cook through. Then I added spinach and stirred it up. Doesn’t it look pretty? 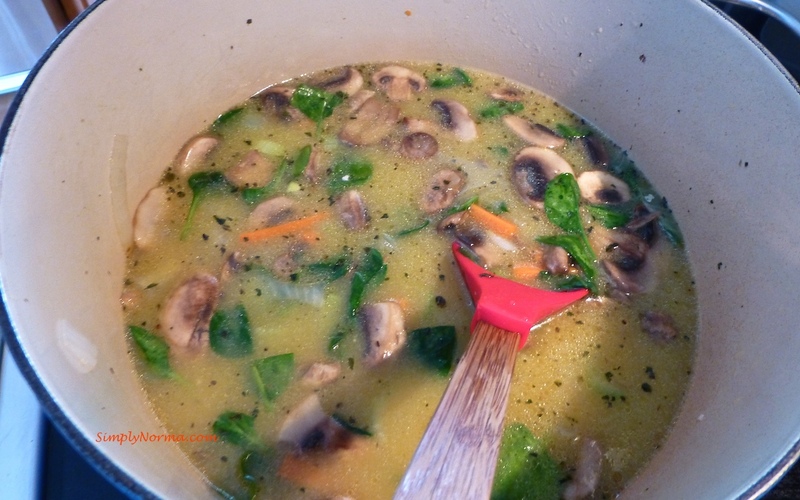 Lastly I added the basil, chicken broth, cooked chicken and the coconut milk. Then I waited for the soup to boil. Since the meat is already cooked, you just need the vegetables to cook through and make sure all the flavors are blended. I added the coconut milk in slowly — 1/4 cup at a time — until I found the consistency and flavor that was to my liking. At the end, I added a total of 1 cup of coconut milk. So — here’s the recipe so you can try it. Prepare all vegetables ahead of time (see above). In a skillet, grill the chicken breasts in 2 tablespoons of olive oil. Once it’s cooked through, allow to cool on the counter and once cooled slice into bite size pieces. In a large soup pot on medium heat, add 2 tablespoons olive oil. 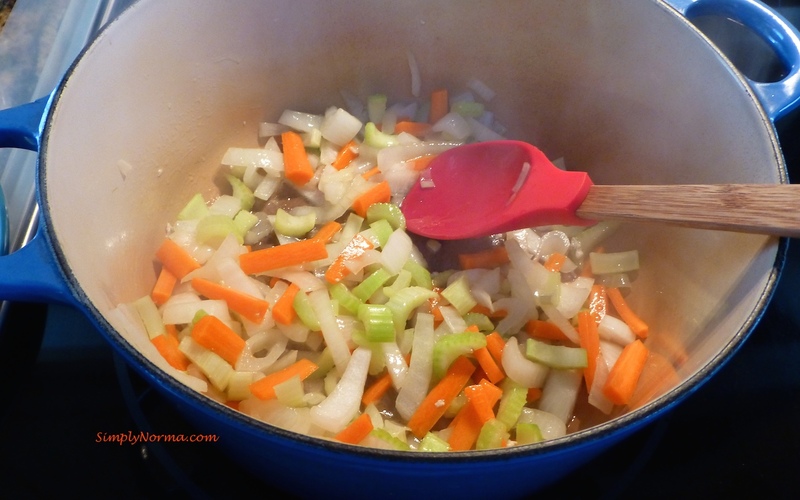 When the oil is hot, add the carrots, celery and onions then stir until the onions are clear in color. 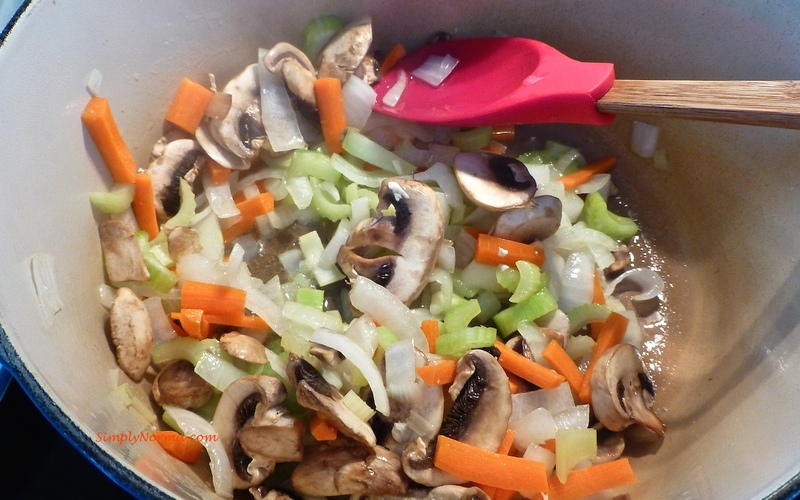 Add the mushrooms to the pot and stir with the rest of the vegetables. 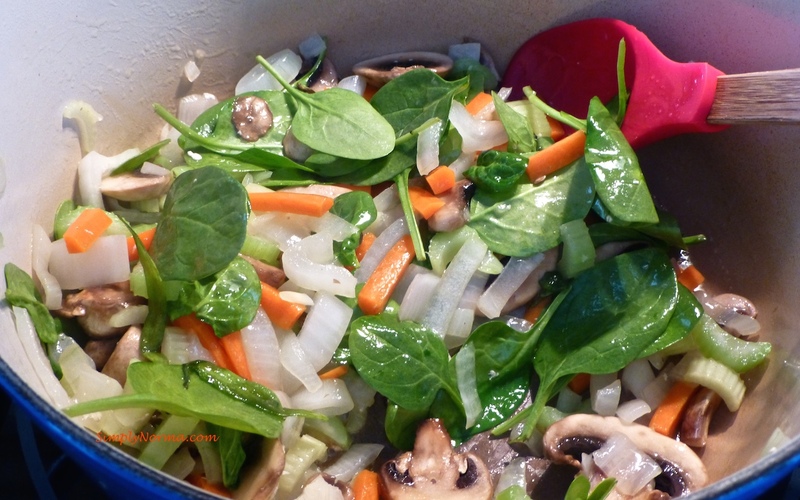 Add the spinach to the pot and stir to combine with the rest of the vegetables. Add the basil, salt, chicken and the chicken broth to the pot and stir. 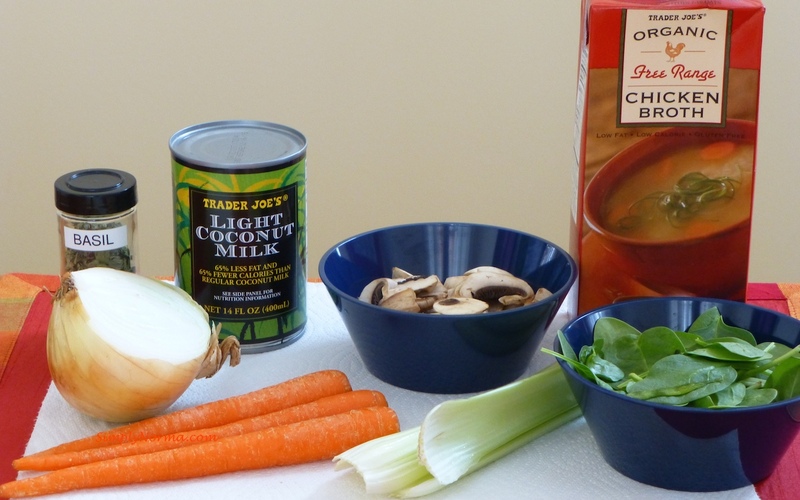 Add the coconut milk a little at a time and stir to combine with the rest of the soup until you get the consistency and taste you want. Allow the soup to boil then bring to a simmer for 10 minutes. That’s it! This is an easy peasy recipe and you can add whatever vegetables you like. I served this with paleo Cranberry Orange Muffins.